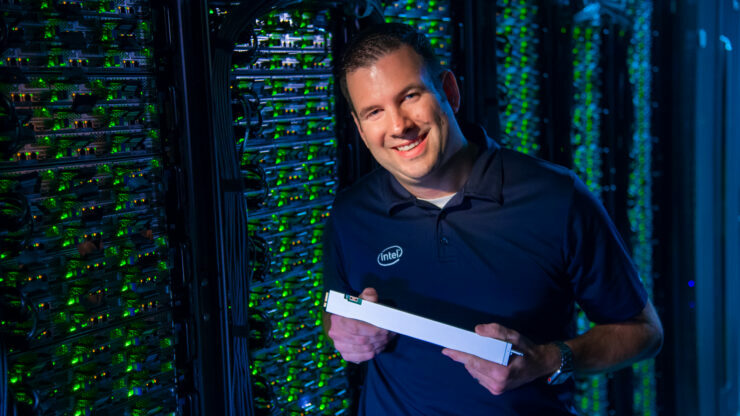 Intel has announced a range of new storage products that deliver higher capacities with new tech and form factors. The products will include PCIe and SATA based devices which will launch in the coming months and feature new QLC/TLC NAND flash. 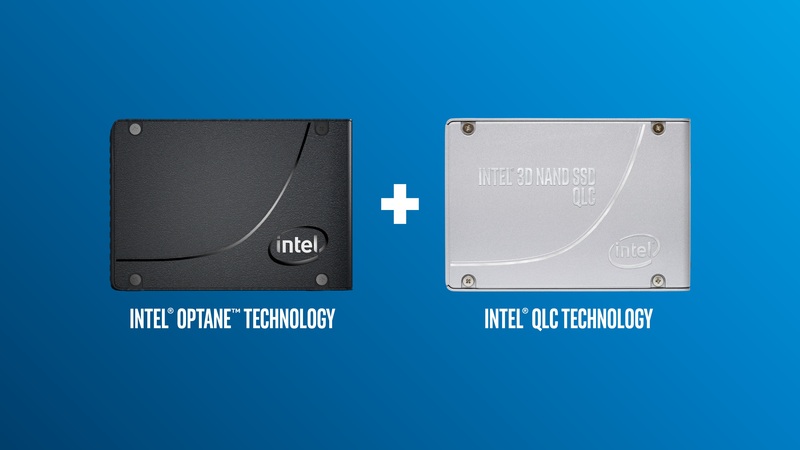 The QLC + Optane drives would pack a 64 Layer 3D QLC NAND flash, capable of delivering reads and writes speeds of 3000 MB/s and 1000 MB/s, respectively. The drives will feature a warranty of five years and prices would be listed later. Intel has also announced their 3D NAND Ruler SSDs which are fully compliant with the EDSFF or Enterprise and Datacenter Storage Form Factor. 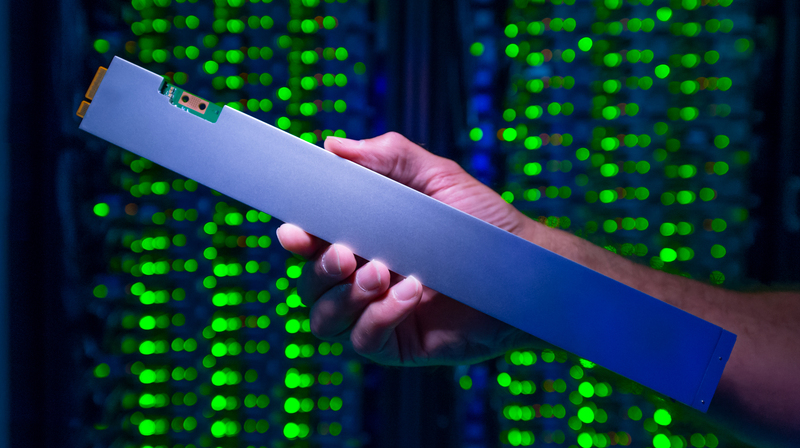 Being just 12 inches in length, these Ruler SSDs can pack up to 32 TB of storage capacity in the densest and noise-proof solution created to date. 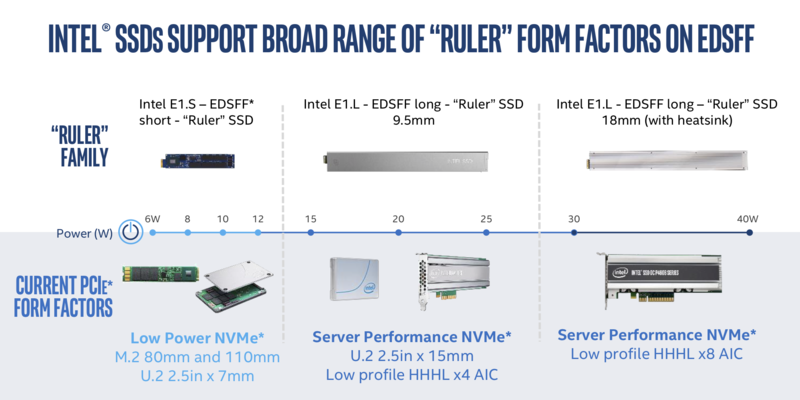 Intel’s newest solid-state drive, the Intel SSD DC P4500, is about the size of an old-fashioned 12-inch ruler and can store 32 terabytes. That’s equivalent to triple the entire printed collection of the U.S. Library of Congress. The new SSD is Intel’s densest drive ever and is built on Intel 3D NAND technology, which stacks memory cells atop each other in multiple extremely thin layers, instead of just one. Memory cells in the P4500 are stacked 64 layers deep. 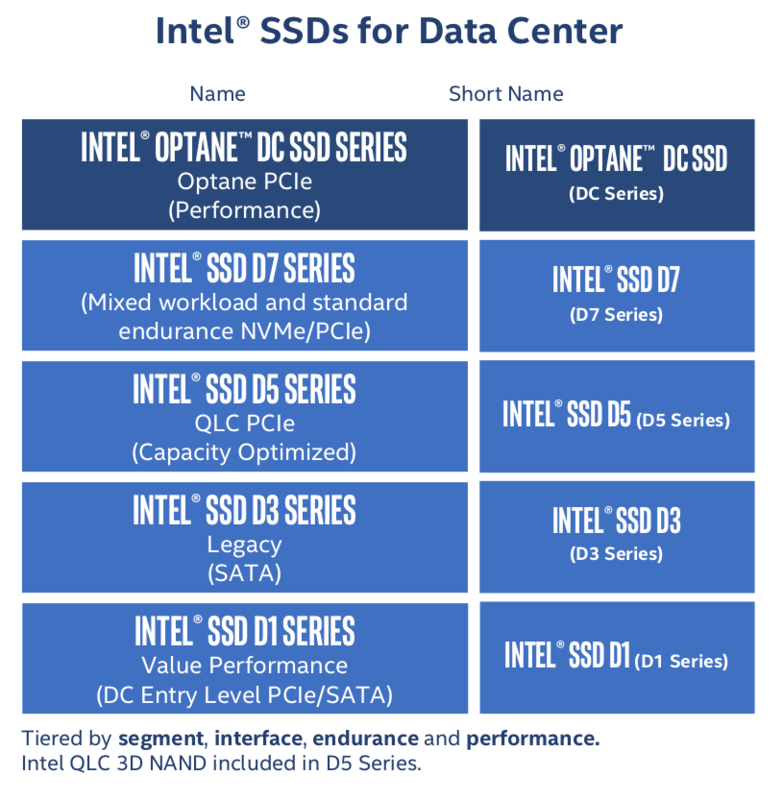 Intel is also releasing their updated TLC NAND based legacy SATA drives for data centers in 240 GB and up to 3.84 TB capacities. 7.68 TB models of this series are also expected to arrive later on that would be worth looking forward to.